Nesco has created a terrific new product that is shocking some of the other competitors on the market with their product, The Nesco Snackmaster Pro Food Dehydrator FD-75A. This dehydrator takes the traditional dehydrators of the past and spins them on their heads, offering a new and exciting avenue for dehydration innovation moving forward. With several innovative features all rolled into a compact device, Nesco separates themselves from the rest of the competition that is still stuck in the old ways. The Nesco Snackmaster Pro Food Dehydrator FD-75A features a top-mounted fan that has an adjustable thermostat of 95 to 160 degrees Fahrenheit. Nesco has innovated how the flavors stay within each item within the food dehydrator by an opaque exterior blocking mechanism that keeps the harmful lights out. This means that individuals no longer have to open up the dehydrator to pull out and then rotate trays for proper dehydration. Their new device does it all. Nesco makes it clear that they want to eliminate the fear most people have when it comes to using a dehydrator for the first time, and include several great features and benefits with the purchase of their dehydrator. They include a recipe book, two solid sheets, two mesh sheets, and three different jerky spice packets, all in frustration free packaging. The compact dehydrator Nesco has created comes in a cylindrical device that is very different from the other dehydrators on the marketplace. The unique design makes it clear that Nesco isn’t afraid of stepping out of the normal, to innovate for the future. Amazon Reviews of the product state while there are many benefits, there are also a few flaws. There are questions about the durability with the construction of the trays. 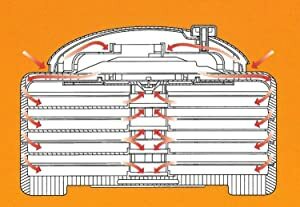 Because the chamber is pressurized, there is a tendency for the trays to warp after repeated usage. It is not quite clear whether the warping is from a specific food item, over-heating, or other miscellaneous problems that might arise from using the dehydrator. The positive Amazon Reviews state that they are completely satisfied with the product and wish they had used it instead of some of the competitors in the marketplace. The expandable tray option is unique that other dehydrators simply don’t have. Unlike its competitors, Nesco utilizes a Converga-Flow Drying System. This means that the dehydrator forces air down from the fan through the pressurized chamber and then horizontally across each tray. The air then converges at the middle of each tray to promote quick and proper nutritious drying. 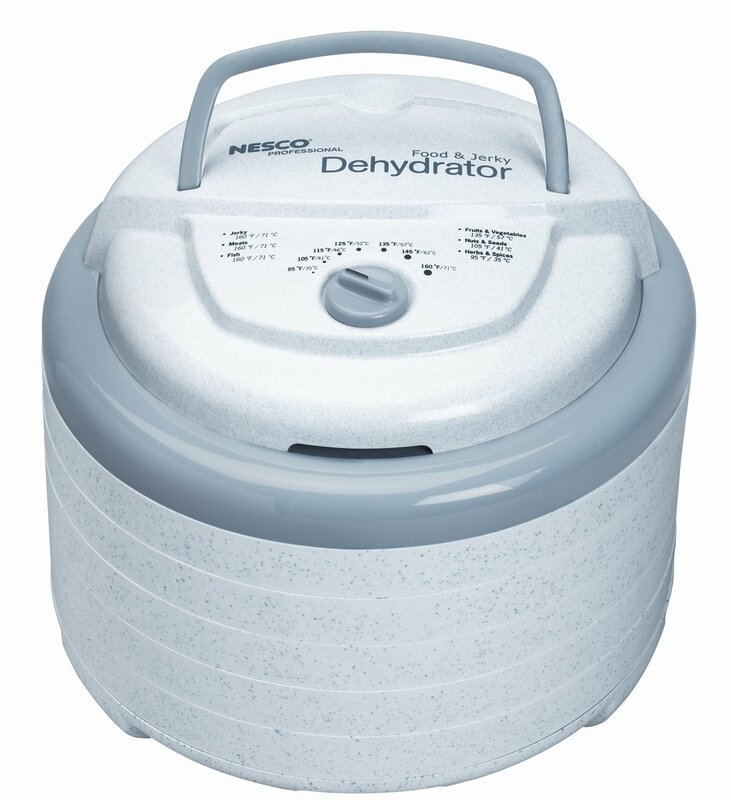 Nesco utilizes this unique way of drying and dehydrating their food in their Nesco Snackmaster Pro Food Dehydrator FD-75A that other companies simply haven’t thought of yet. Other companies are utilizing traditional methods of the past that are leaving most of the food dried unevenly. 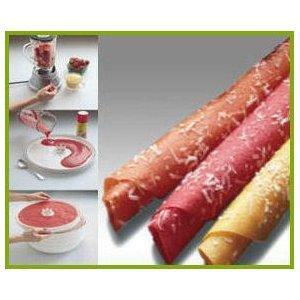 Nesco has really hit the ball out of the park with the Nesco Snackmaster Pro Food Dehydrator FD-75A. Their unique cylindrical construction has impressed thousands of customers, and it is easy to see why. With their unique converga-flow air drying and dehydration system that they have created, it is easy to see why consumers love this product. Nesco offers a compact affordable product that enables the consumer to customize the dehydrator to how they’d like to dehydrate their nutritious items their way, without any limitation. Whether it is fruit, flowers, jerky, or something else, the Nesco Snackmaster is capable of drying and dehydrating it all, something that other competitors in the marketplace simply can’t do. The pressurized chamber that seals each tray and enables the unique drying system to work is something that other competitors simply haven’t attempted yet. It is clear that Nesco wants to make consumers happy, as well as innovate the dehydration industry moving forward. While other companies claim that their dehydrator is the best one on the market, the affordability that Nesco Snackmaster offers with all of their unique features makes this product stand out.